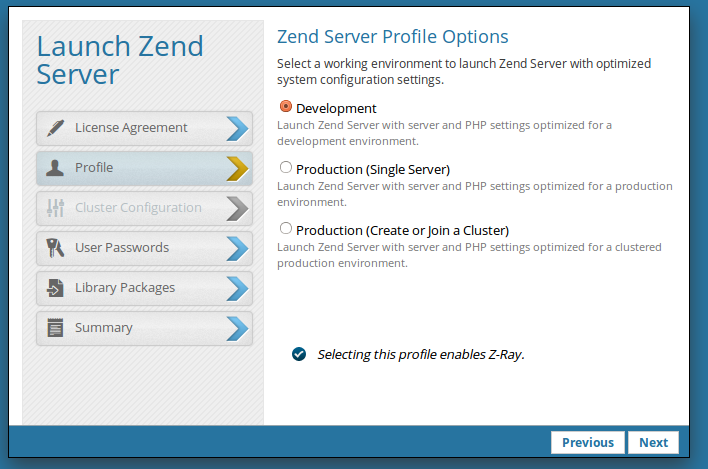 Zend Server, Z-Ray and Magento...a good choice ? Feel free to subscribe to the newsletter (on the right of this page) to receive a notice when there's a big event on this blog. OK ok...now let's talk about the subject ! First present the Zend Server solution. 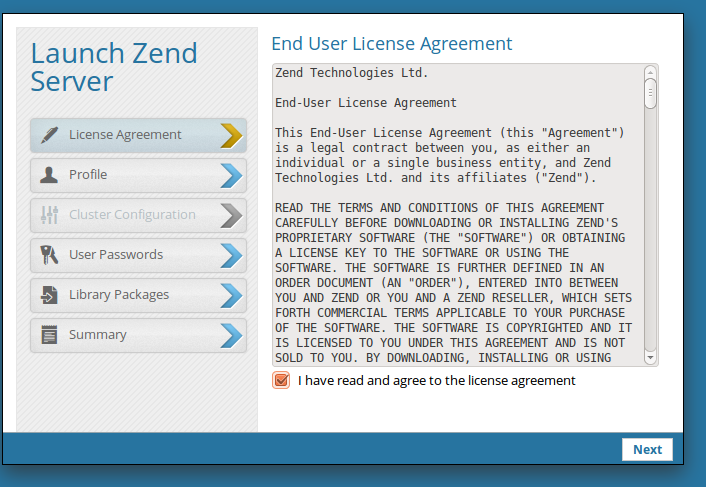 Zend Server is a web application server developed by Zend Technologies (PHP creators) in 2009. It is available on Windows, Mac, Linux .. To ULTRA simplify, it is a kind of apache but lot more powerful that contains an administration interface wich allows you to configure PHP, to deploy your application (or to manage your publications on staging / prod) more easily. 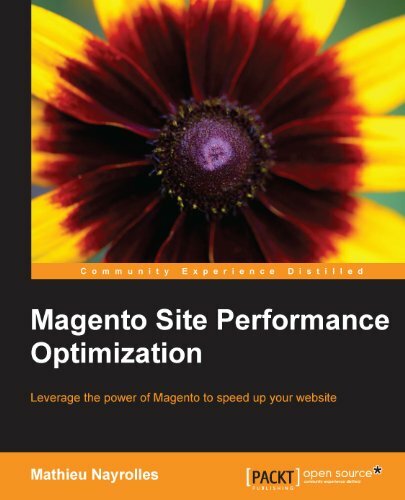 It also seems that often gets better performance with Zend Server in Magento...check this because at the moment i have not enough experience with Zend Server to tell about that point :). If you have feedback on the subject of performances and ZendServer please share it with us by leaving a comment on the bottom of this page. i will be very interested! We "magento developers", are interested by...? fo us here, that's Z-Ray! Zend has animated a conference on the subject at "Bargento 2014". Z-Ray is a toolbar that allows you to have a full vision of what happens when loading your page. Zend has placed earbuds in your php server (slightly like the CIA in your iphone ;) ) Which will allow you to have full information. ok ok a bit like Wee_Toolbar extension done? yes it is exactly that! Except that it's like if you had in addition activated "xhprof" (Thanks to Olivier Garcia - @0livier - for telling me about this tool it a few months ago), which allows you to have more detail than the magento profiler on what's happening when redering my page... What function consumes what? how many times is it called ? Ok ok but suddenly if I install the extension Liip_Xhprof of Fabian Vogler (thanks to him) theoretically i'll get the same ? So why must i install Z-Ray ? - Information on the loaded blocks: what class is used? where is the template? - What events are triggered, what Observer is involved in this event, how much loading time consumes my event? - What are the handles of my page? Well here it looks interesting ... essential tools and more lightweight comfort or downright useless? ... Let's go for the test! Installation is fairly simple, I just downloaded Zend Server from the website and i went to the directory where I downloaded it. Then i unzip the file (I'm on linux but it also works on Mac or Windows ... you just fit). I then go to the directory where i unzipped the file, i launch the installation script by specifying that I want it it to be installed with the version 5.4 of PHP and Zend Server will use an Apache server (you can also use Ngnix if you prefer). Here I have my installation panel, I filled the boxes and I put "next" ..nothing easier. I defined my user, password, and I notice that it installs libraries for Symfony2, Zend Framework 1 and 2. 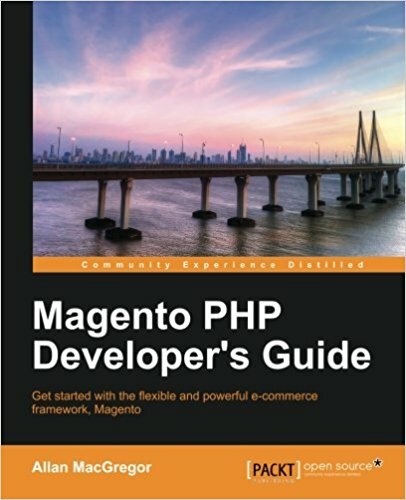 Always helpful... even if for the time Magento is based on Zend Framework 1. And my installation is already complete! 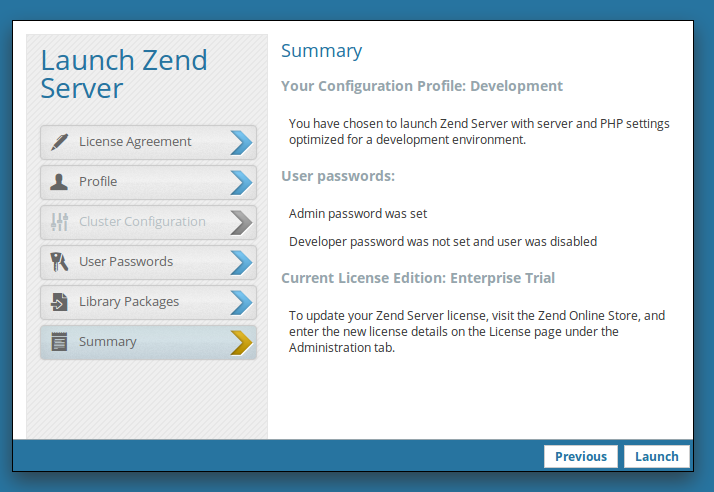 Then i go to 127.0.0.1:10081 and i arrive on the dashboard of my Zend Server! 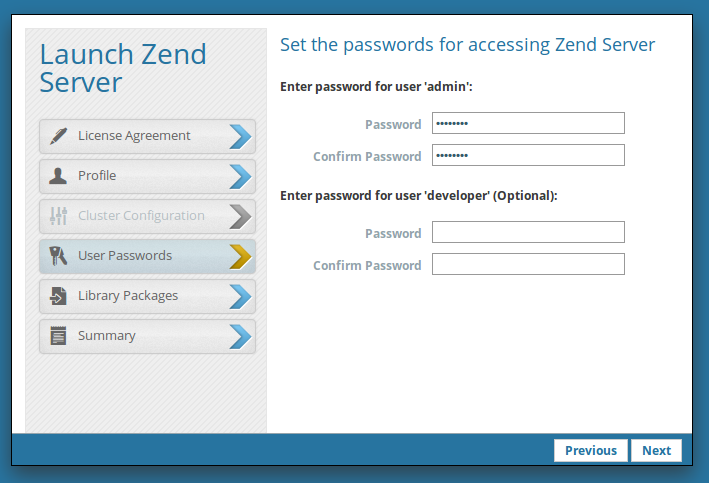 Ok now I have Zend Server on, I want to install Magento so it will run on my server. I can start by creating a vhost. Once restarted, my vhost is green ... a sign that everything is OK! 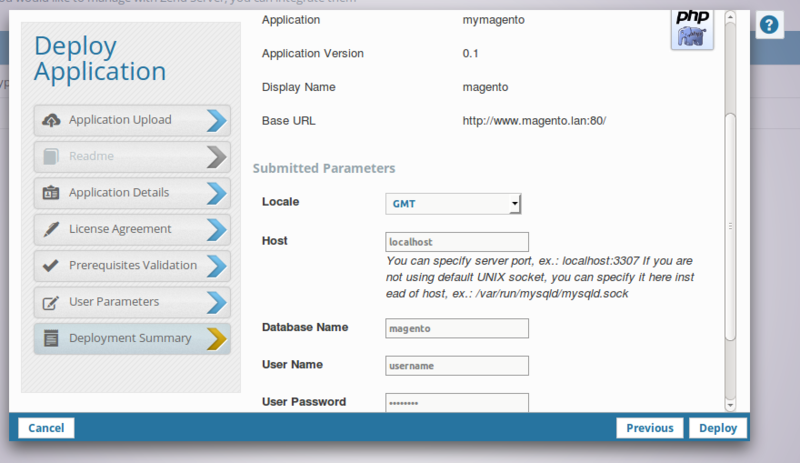 And I go on mymagento.lan ... and ... It Works! So now I install magento, the standard way ... 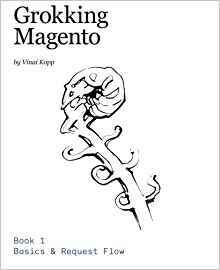 I will not return to the Magento installation in this tutorial, but you can easily find documentation on this point on the Magento website. Understand that in Zend Server, each website is an "application", it is just deployed and you can do it to infinity on different servers which makes deployments very easy between different versions of your site,... to facilitate Zend work, we will create a file "mymagento.zpk" which will contain the sources that will be deployed on the server and we will import it into Zend server to create our application. 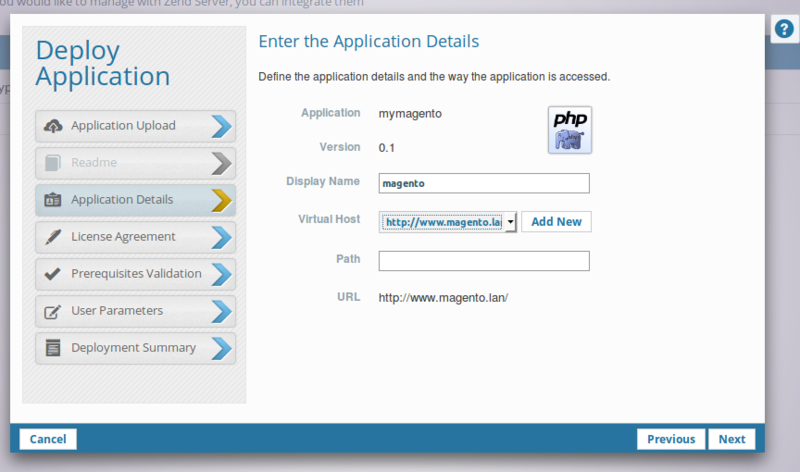 Then move the contents of your magento folder in the directory mymagento/data/ newly created. It is this directory that will contain the files of our application. 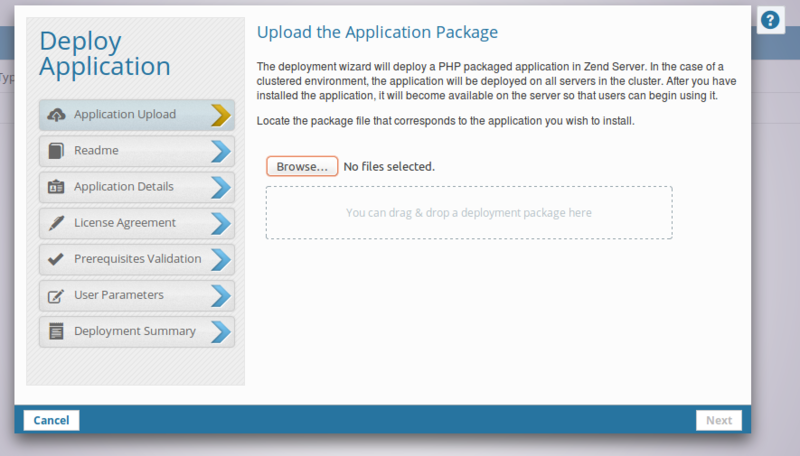 Then turn on the "applications" of your Zend Server administration interface and click Deploy Application . Tick the acceptance of the license box, check the configuration of your system and complete the database information. Then click deploy! Your Zend Server restarts and deploys the application. That's all for now but I will continue my article soon ... For now what I remember is that the plugin Z-Ray for magento is best practice production in order to have identified a specific problem in real time and Zend Server is a killer for deployment ...a good discovery yet. Pending further if you want to test the "magento" plugin go here ! !